What is the Best Pet Tracker and Why Should I care? What's the Best Pet Tracker and Why Should I care? A few years ago, practically no one would be searching for the best pet tracker. Why? Few would even know what it was. Technology is progressing so quickly, and one new discovery leads to a variety of new products and services. All of these great devices are now trickling down to pet owners. How we care for our small dogs is changing almost as quickly as the technology itself. To be fair, tracking devices are not new. In 1989, Gary Burrell and Min Kao formed a company and named it using the first few letters of each of their first names, Gar + Min, to create Garmin a household brand. It took many years, however until the average person realized how useful their product was. At first, their products were used by the military and then became part of the automotive and boat industries. It wasn’t until about 10 years ago that these GPS tracking devices grew commonplace in everyday households. Now, few people use paper maps, and most prefer the convenience of a GPS to get from here to there. The ability to track animals and birds goes back to the 19th century, long before today’s technology. John James Audubon, the well-known naturalist, and ornithologist began tying strings around the feet of birds to track their movements. By the late twentieth century, biologists and other scientists were using GPS receivers to track the movement of animals in the wild. Today, we can use this technology to track our dogs. As small dog owners, we want to keep our little ones safe and close to us. That’s why we build fences, walk our dogs on a leash, train our dogs to come and wait at the door. 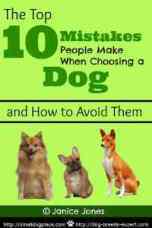 But even the best trained dogs and the most responsible dog owners can find themselves in a situation where their dog is no longer by their side. The stress and anxiety that comes when a dog goes missing are hard to describe. The fear of not knowing the whereabouts of your dog can be devastating. There is a way to avoid these upsetting emotions, but it requires a bit of technology. As the name suggests, a pet tracker is a device generally worn by a pet that uses global positioning satellites to discover its whereabouts. Another type of tracker uses radio signals much like a walkie-talkie. It is a stand alone device that doesn’t require a month subscription and is very popular among hunters. Typically a pet tracker is a collar worn by the dog or cat or a tag that can be attached to a collar. Not all pet trackers are alike, some better than others. 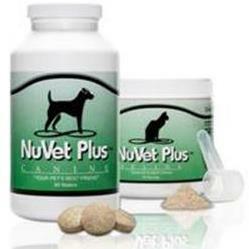 For a review, check out this site, best pet tracker for a full analysis. Do You Need a Pet Tracker? There are many reasons why a pet owner might want to invest in a pet tracker. Hunters for example who hunt with their off leash dogs wish to locate the dogs at the end of the day. Outdoor cats that wonder may need a collar with a tracking device to be found. Even your small breed dog may need a tracking device especially if there is a chance that he could get out and take off. But My Dog Has a Microchip and/or Collar Tag? Microchips are very important in the event your dog should get away from you. A dog with a chip has an excellent chance to be found and reunited with his owner. There are a few assumptions in this scenario. The dog needs to be found by a person. That person needs to be responsible enough to take the dog to a shelter or veterinary office, places that have scanners that can read the microchip. The microchip information must be up-to-date. The vet or shelter contacts the owner. The owner and dog are reunited. This is the process, and it does work, but not in all situations. A cute small dog can be very irresistible in the hands of a person with less than admirable intentions. Sadly stolen dogs are more common than one would assume. Losing a pet is akin to losing a family member. The loss can be traumatic and devastating. When we lose a cherished pet due to illness, the grief can last for a very long time. If we lose a pet because he ran off or got away from us, the trauma can be even harder to bear. There is always that element of guilt -- could I have done more? Could I have prevented this? Loss through death is final, but when we lose a pet. Before purchasing a pet tracker, you’ll want to decide what type of tracker best meets your needs. 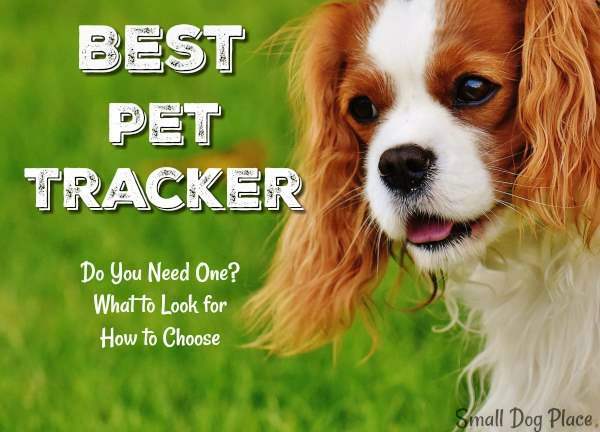 The cost of pet trackers varies widely and is priced by what it delivers. The most expensive tracker may not be your best buy if there are features that you won’t use. Understand subscriptions. Some of the most costly trackers may end up being the most economical in the long run because you don’t have to pay a monthly or yearly subscription fee for it to operate. Most trackers run on battery power and will need to be recharged. There is a vast difference between battery life, from very short to long. Consider your activities and how easy it will be to recharge the battery. Battery life is often measured in days. Some trackers can pinpoint where your dog is but does not monitor his activity. If the activity is essential, then you will want to invest in one that follows your dog’s steps and can even extrapolate how many calories burned. Others will record activity but not identify the location. Activity tracking can be useful if you just want to check in to see what your pet is doing while you’re at work. Maybe you just want to know if your small dog is getting along with your cat. Finding the best pet tracker may mean a bit of homework on your part, but in the end, it is time well spent. Before buying consider your needs and why you are purchasing one of these devices. You may conclude that more expensive equipment is less costly in the long run. While making up your mind, continue to train your dog to come and wait. Even with a tracker, a microchip and tag are always a good idea.